Pole Shift or Polarity Shift? As searchers we look at the world as outside of us. We spend much of our lives learning and experiencing and trying to figure out the complexities of things around us and how they can benefit our goals and eventually help bring us to greater awareness. Sometimes our lives revolve around our goals as strive for answers. We sense things going to happen in the universe, and we relate to them if they affect our 'personal universe' our sense of self. One of the End Time scenarios says that planet Earth is going to have a sudden pole shift. We wonder what this means and if we will suddenly die? 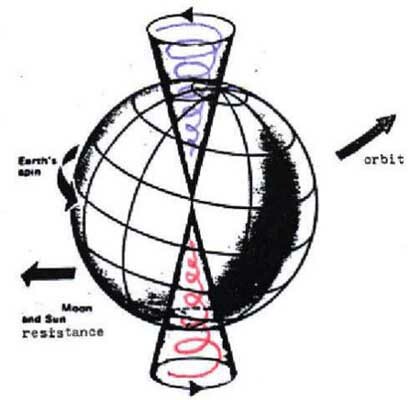 This pole shift seems geophysical, certainly outside of ourselves, part of the universe. The physical humans is made up of electromagnetic energies, polarities, north and south, it has poles. There will come a time of balance when the poles, the bar magnet, the rod, will be horizontal and in balance. Some see this as a judgment day, but that is metaphoric. Everything in our reality is a metaphor brought forth to help you remember.... "Remember what?" you ask. You remember that an aspect of your soul came into a physical body to experience emotions. It is a spiritual soul have a physical experience. But once in the physical, 3D, you began to think of yourself as a physical being having a spiritual experience... Wrong! 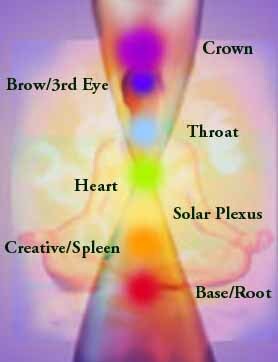 When this balance occurs, your north and south poles will merge, the polar aspects of your being. North is above 3D frequency. South is the YOU sitting there now reading this. When balance occurs, your poles will seem to shift in a nano second, and you will return to higher frequency, your spirit form, where you will understand the nature of all reality. The pole shift is not external, it is internal to you. Look for a polarity shift of consciousness, not a pole shift on the planet. It is about TIME. I've been seeing archetypes again. Archetypes are symbols, or keys, just like digits, to help trigger awareness. We all have them, but we do no always recognize them until we become aware. Sometime we doodle them on paper, place them in our art work, see them in our 3D lives or dreams, see them in our thoughts, etc. 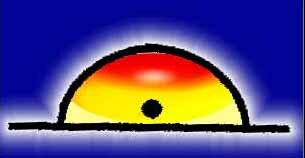 The symbol above means Horizon. "This symbol is alive with the ticking of a clock, A Celestial Clock of Destiny". That is my work here. I see the symbol for Libra, Balance. I have been 'seeing' many winged discs, even in the books I look at.